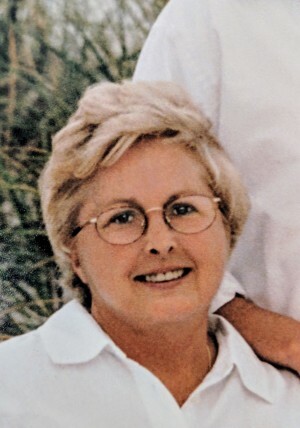 Obituary for Lynn (Pfrogner) Rich | Beatty-Rich Funeral Home, Inc.
Lynn Rich, 78, of Madison, Pa. died Thursday, January 24, 2019, at Walnut Ridge Memory Care in Greensburg, Pa. She was born April 10, 1940 in Mt. Pleasant, Pa. Daughter of the late Mr. and Mrs. Frank Pfrogner. Prior to her retirement, she was employed by PNC Bank at its corporate Headquarters in Pittsburgh in the Commercial Loan Department and was also employed at the family business as secretary until her illness. She loved riding horses, snowmobiling, ice skating and racing stock cars. She loved Polka dancing with her husband. She was involved with many of her children’s school activities. She had a degree in ceramics and instructed ceramic classes for many years at her ceramic studio. She was the Co-owner of the House of Linen in Mt. Pleasant, Pa. with her late business partner Cathy Adams. In 1984, along with 2 friends, Linda Markle and Cheryl Martin, they organized the first Girl scout troop in Madison, Pa. She was a member of the Seven Dolors Catholic Church in Yukon, Pa., and served as eucharistic minister for many years. She was also a member of the Confraternity of Christian Mothers having been elected for three consecutive terms as President. She is proceeded in death by both parents, a sister in law – Geraldine Albright and her husband Larry and brother in law Jack Hostoffer. She is survived by her loving husband of 45yrs Ronald A Rich Sr., of Madison, Pa., a daughter – Christie Lynn Rich of Greensburg, Pa., a son – Ronald A. (Tony) Rich Jr. and wife Leah of Madison, Pa., a granddaughter Hannah J. Rich-Martinez of Pittsburg, Pa., sister in law Marjorie Hostoffer of Mt. Pleasant, Pa., several nieces and nephews, a great niece and great nephew. Friends will be received from 12-4 and 6-8 Sunday January 27, 2019 and 2-4 and 6-8 Monday January 28, 2019 at the Beatty-Rich Funeral Home, Inc. Rt 136 Madison, Pa. Anyone wishing to attend Lynn’s funeral mass is asked to go directly to The Seven Dolors Catholic Church 102 Center St. Yukon, Pa. for a funeral mass to be celebrated at 11 am Tuesday January 29, 2019 with Fr. Richard Ulam O.S.B. officiating. Interment will follow at The St. Pius Cemetery in Mt. Pleasant, Pa. in the family plot. The family would like to express their sincere gratitude to the staff at Walnut Ridge Memory Care in Greensburg, Pa. for their compassionate and loving care given to Lynn. And also, to Redstone Highlands Home Hospice for their compassionate care. To leave an online condolence, please visit www.beatty-richfuneralhome.com.